With Valentine’s Day just around the corner, I thought I would post this fantastic recipe for Mocha Chocolate Chip Oat Cookies. They are super chocolate-y and the espresso powder gives them a great oomph of flavour. 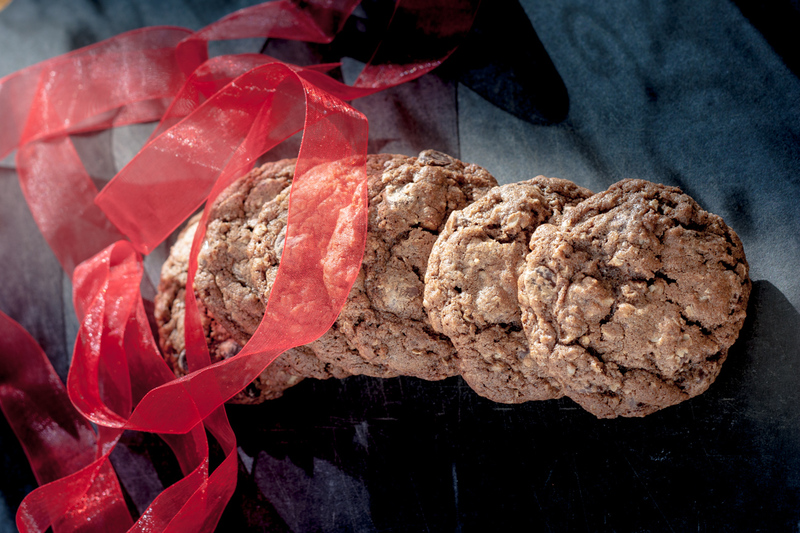 And what could be a better gift for someone than a bunch of cookies all bundled up in red ribbon. 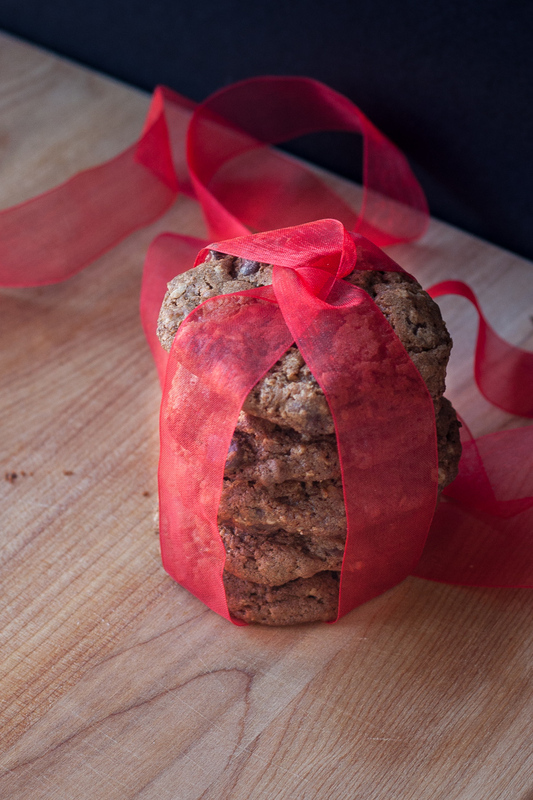 These Valentine Day Mocha Chocolate Chip Oat Cookies would be a nice surprise in your partner’s lunch box, a sensational gift for your son or daughter’s teacher, or put some out on the table after dinner at home. Sweet Sensation! I really love cookies. I love them for many different reasons: the endless flavours and varieties, they’re quick to make, they’re not very big but hit the spot without breaking the calorie bank and they are ubiquitous. Every culture makes cookies. 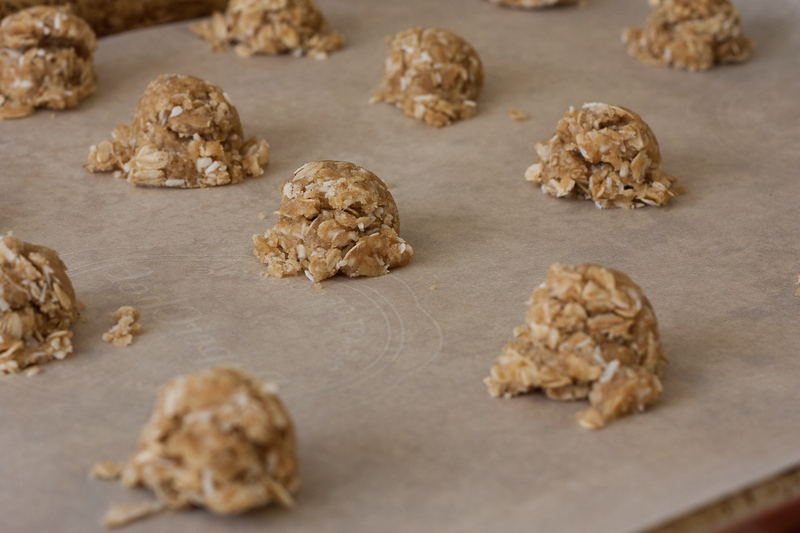 When I was little, my mom only made three types of cookies: sugar cookies, peanut butter cookies with raisins and oatmeal cookies that came from a package (all you had to do was add water and an egg). She never used a timer and always set the oven at 350 ° F. And, unlike my Mum’s Date and Oat Squares, my mom couldn’t finish a chapter of her book in the time it took to bake some cookies. So, we had our fair share of burnt cookies. There are far too many varieties of cookies out there these days, for me to only make three types of cookies. So, my family is lucky in that way. I love trying new recipes. 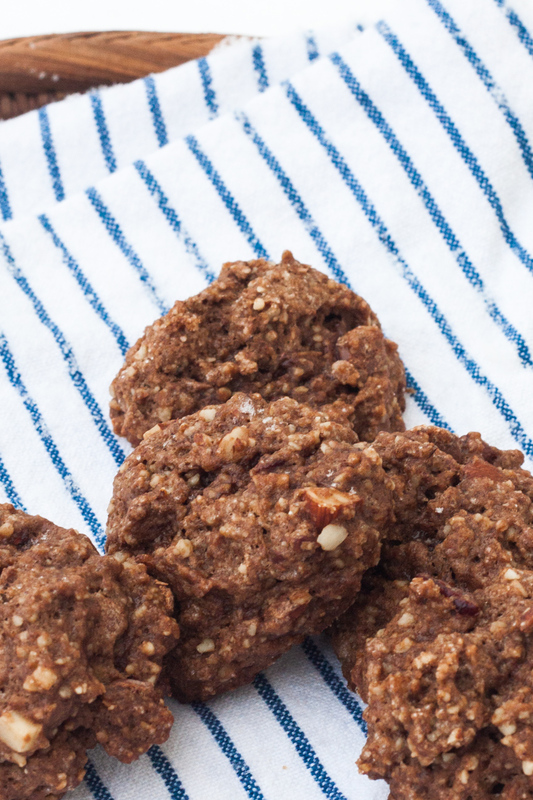 I made these Mocha Chocolate Chip Oat Cookies recently and they were a hit with everyone. They didn’t last long. 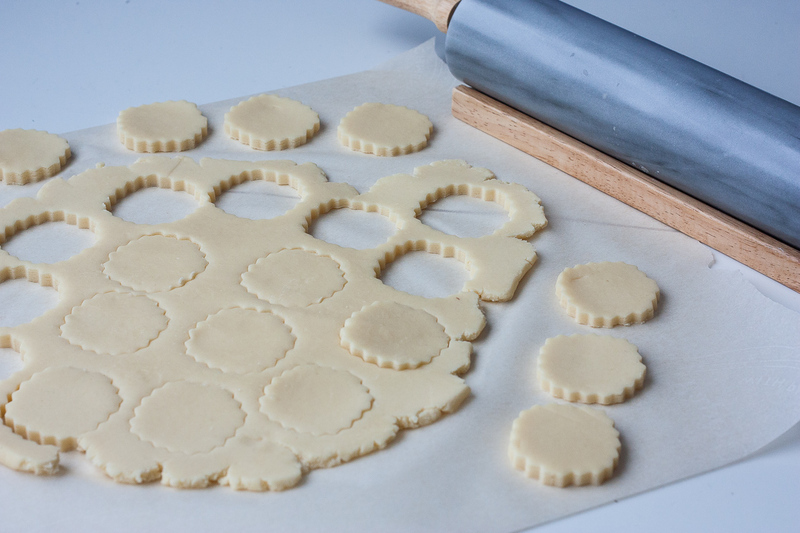 It doesn’t take very long to put together a batch of cookies, but, in order to do it properly, you do need to follow a few basic techniques. after you take the cookies out of the oven, place the cookie tray on rack for 1-5 minutes. The cookies will continue to cook. After that time (the recipe usually states how long to cool on the tray) place them directly on a rack to cool. They will firm up quite a bit. almost all cookie doughs freeze very well (before they are baked). I quite often will make some cookie dough, shape it into a flat disc, and freeze until I’m ready to bake the cookies. Let the dough thaw overnight in the fridge and then the next day, form into cookies and bake as usual. You can also shape the cookie dough into cookies and freeze on a flat tray until hard, and then place in a ziplock bag. Bake the cookies from frozen (add 1-2 minutes to baking time). 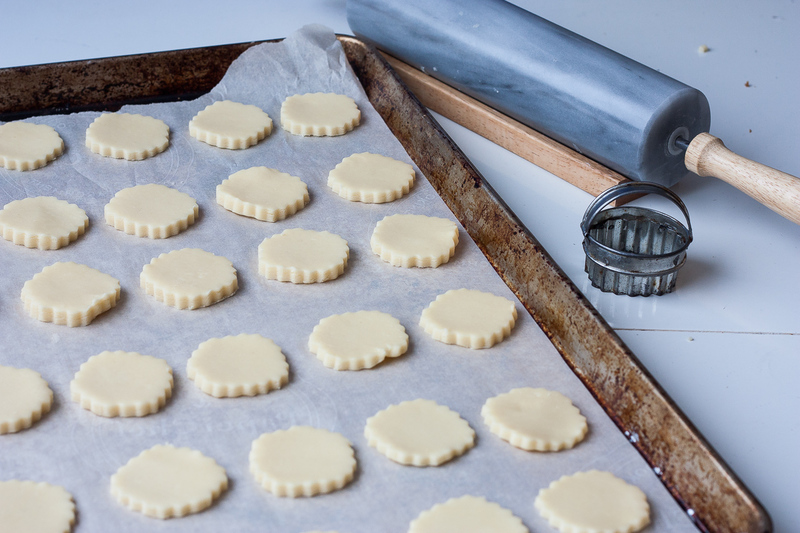 Beat softened butter with sugars until light and fluffy. Dissolve espresso powder in the vanilla. Add to the egg/sugar mixture. 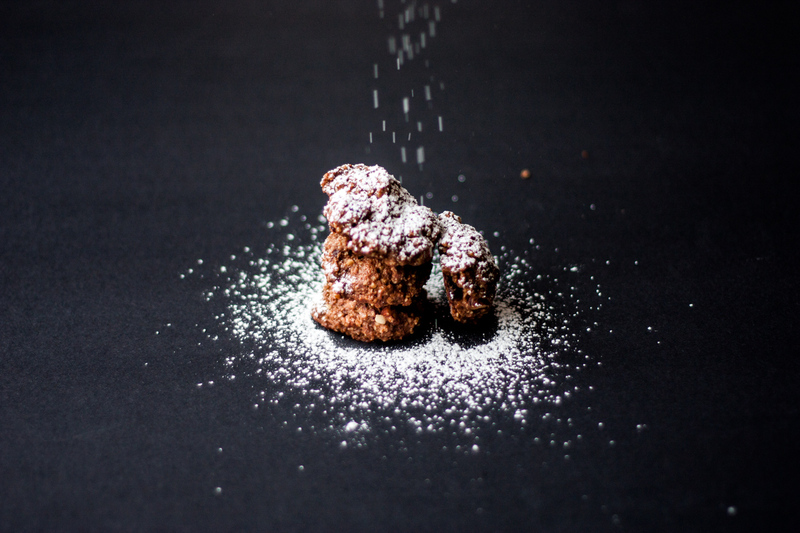 In a separate bowl, mix the dry ingredients: flour, cocoa, oats, baking powder and baking soda. Add dry ingredients to wet ingredients. Mix gently until combined. Weigh out approximately 35 grams of cookie dough. Roll it into a ball and place on a parchment lined baking sheet about 2 inches apart. Baking in 375 ° oven for 9-10 minutes until dry on top and slightly golden underneath. Remove from oven, place on wire rack for 1 minute. Remove cookies from tray and place directly on rack to cool. I made these Brown Butter Finnish Spoon Cookies a few weeks ago to whet everyone’s appetite for the avalanche of christmas cookies soon to be upon us. 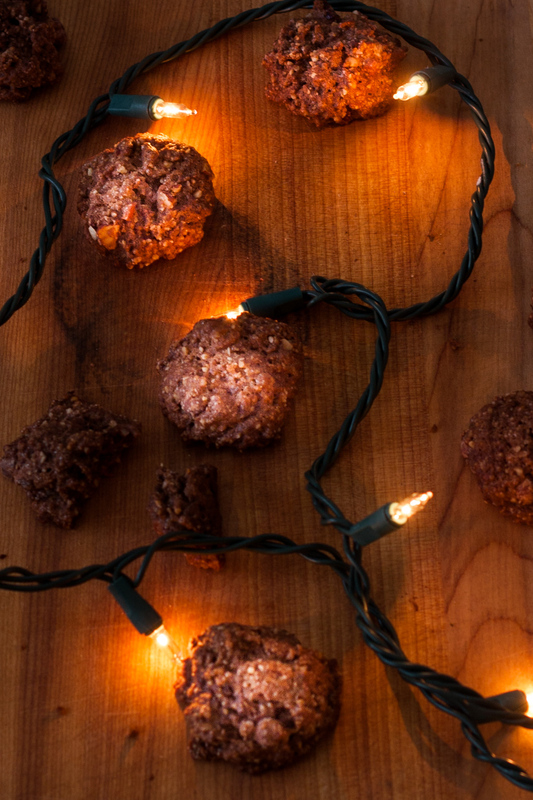 Cookies are great any time of year, but at Christmas I like to bake up recipes that have that extra ‘wow’ factor. A lot of christmas cookies have special ingredients such as chocolate, macadamia nuts, toasted coconut or icing and sprinkles. 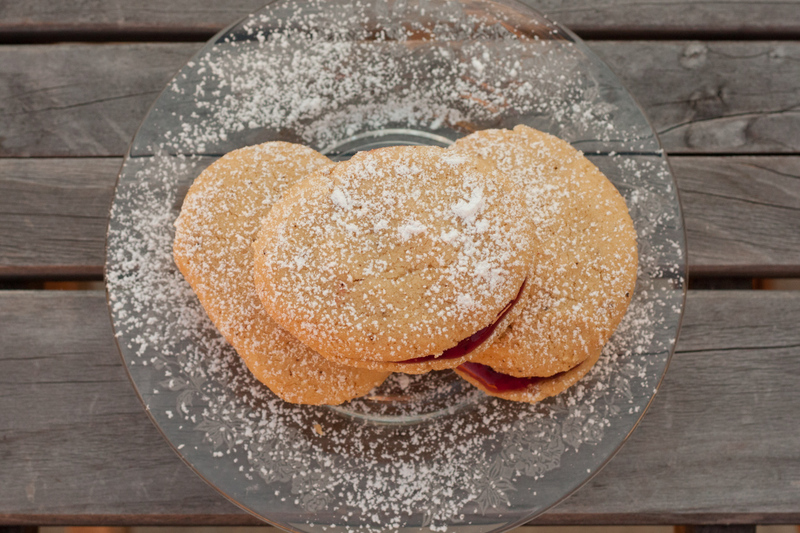 The extra ingredient in these cookies is the browned butter. More of a mystery ingredient than extra fancy, the browned butter lends a smooth, nutty aroma to the cookie dough but without the nuts: guests will wonder what that secret ingredient is. 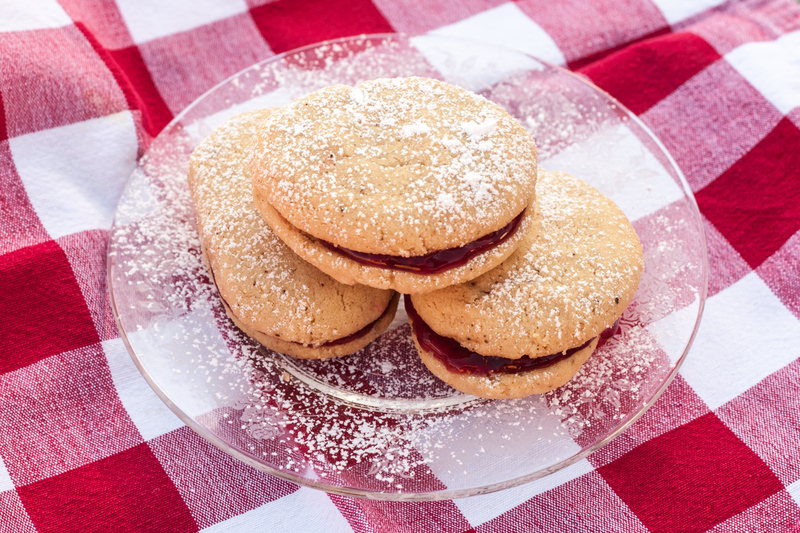 They have a texture resminiscent of shortbread and the lingonberry jam in the middle contrasts nicely to the smoothness of the browned butter flavour in the cookie. 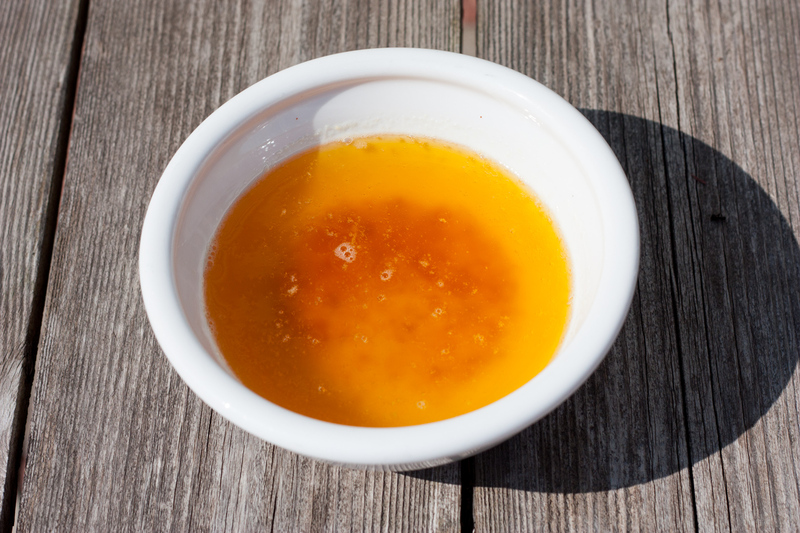 If you have never made browned butter before, here are some photos to help guide you. 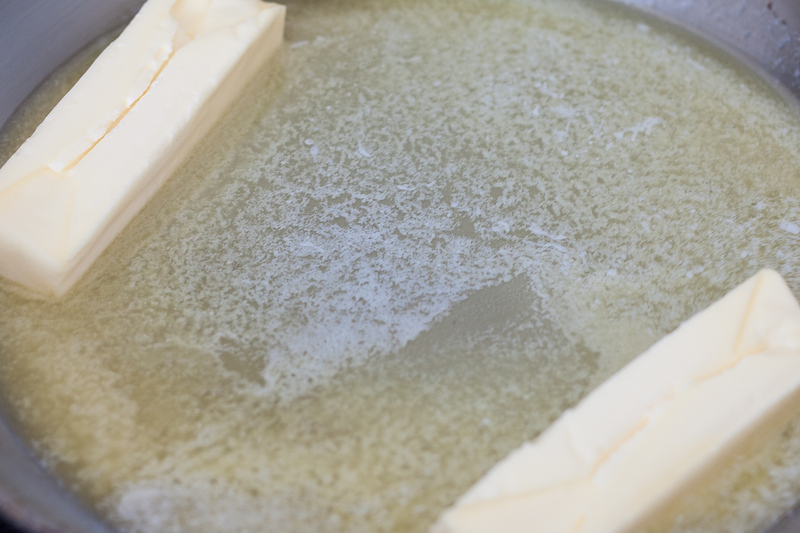 Add two sticks of butter to a medium hot pan and let them melt. After all the butter has melted it will start to foam up. 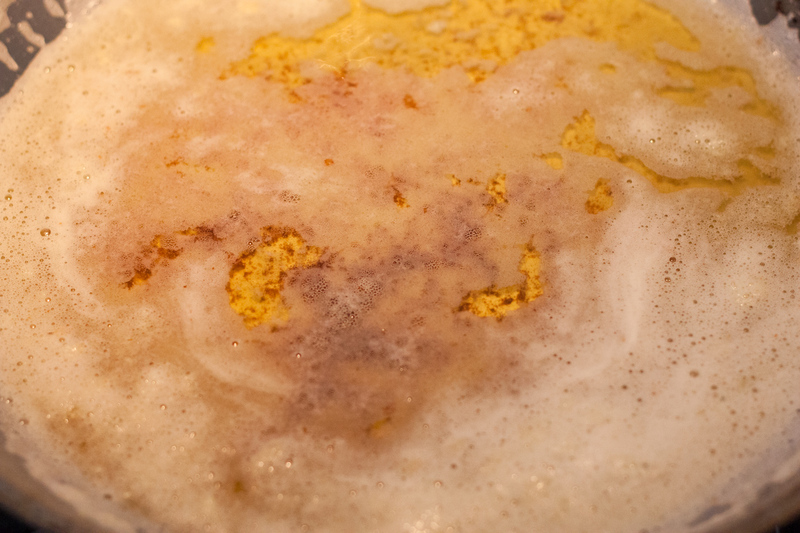 After the butter has foamed up, it will settle down and start to turn a golden colour. Take it off the heat as soon as the butter is a deep golden colour and the bits on the bottom are brown. If you wait too long, they will burn very quickly. 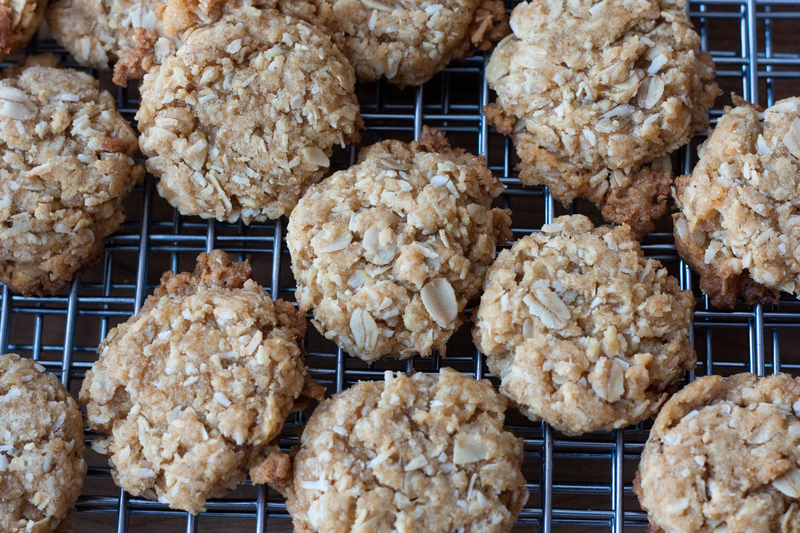 The recipe for these cookies comes from Toronto Cooks by Amy Rosen. My eldest son, Max, bought this book for me for Mother’s Day last year. Everyone in my family knows how much I love cookbooks. I have about 200 on my shelves now, most of them gifts from my husband. Max thought that I would enjoy a cookbook filled with recipes from the many fine restaurants in the city where I grew up. And he was right. This book is also special to me as it’s the first cookbook he ever bought for me. 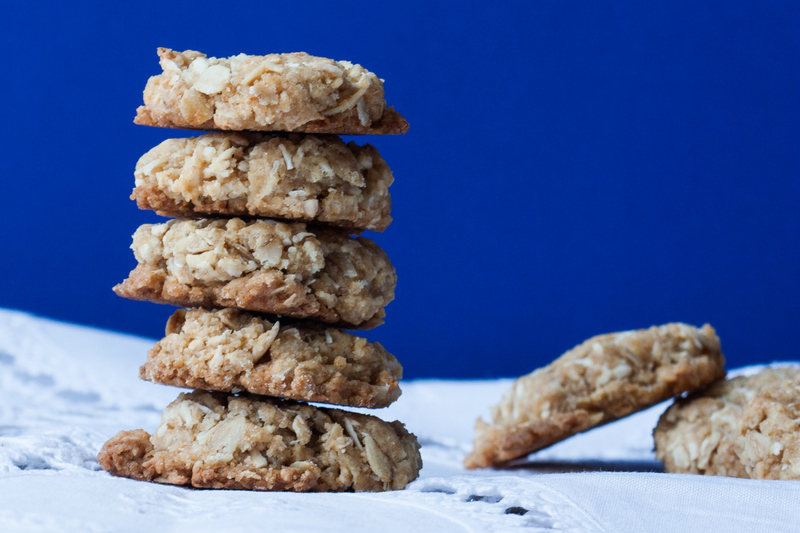 Max and I share a love for Scandinavia so this Finnish cookie recipe caught my eye straight away and was the first recipe I tried. The raw dough has such an amazing aroma, I’m surprised it made it into the oven. I made my cookies a bit larger than the recipe instructed, so I only made about 20 filled cookies, and they are a bit larger than the original recipe. Forming the dough on the teaspoon is just slightly tricky, but take your time, don’t rush and they will turn out beautifully. They’re scrumptious! Hope you enjoy them as much as we did. 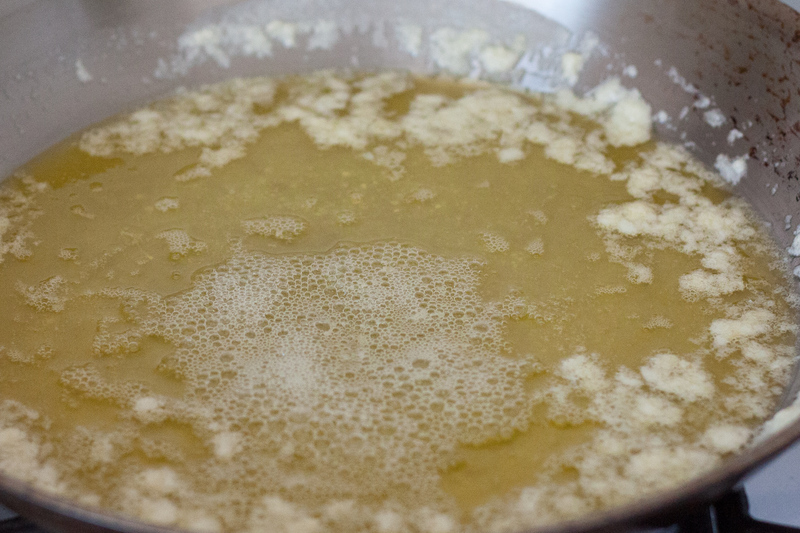 In a heavy-bottom saucepan or skillet, melt the butter until it foams up and then begins to brown and smells nutty. This takes about 10 minutes. Keep your eye on it, and don't let it burn. Pour into a bowl and let it cool for about 20 minutes. In another medium sized bowl, stir together flour and baking soda. Once the browned butter has cooled, add the sugar and vanilla and stir until combined evenly. Add the dry ingredients to this bowl and stir until combined. Cover and set aside on the counter for 30 minutes. To make the cookies, press some of the dough into a dessert spoon. Level the top off with a knife. Slide the dough off the spoon. Reshape with your hands, if needed, as the dough can be a bit crumbly. Place flatter side down on the cookie tray. Bake in the oven for 10-12 minutes or until lightly browned and set. These cookies do not brown very much, so keep an eye on them and take them out of the oven when the cookies seem dry and set. Cool the cookies on the baking sheet for 2 minutes and then transfer them to a cookie rack to cool completely. Spread lingonberry jam or another jam on the flat side of one cookie. 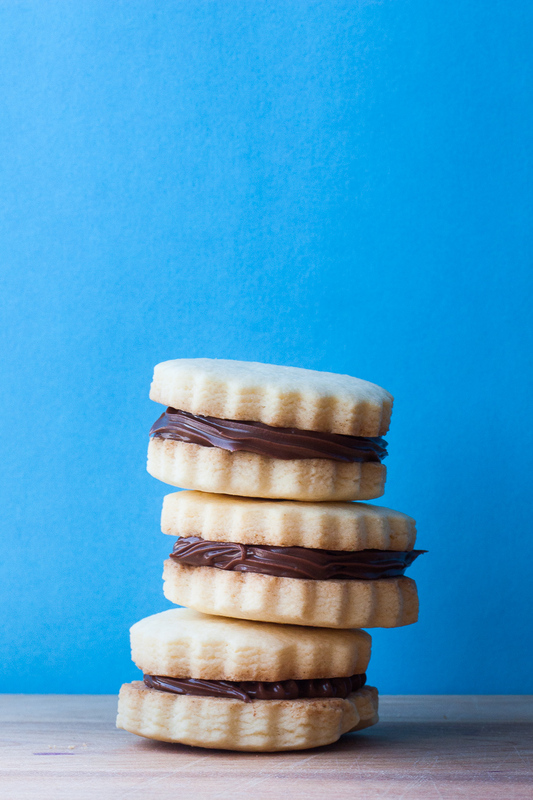 Then place another cookie on top. 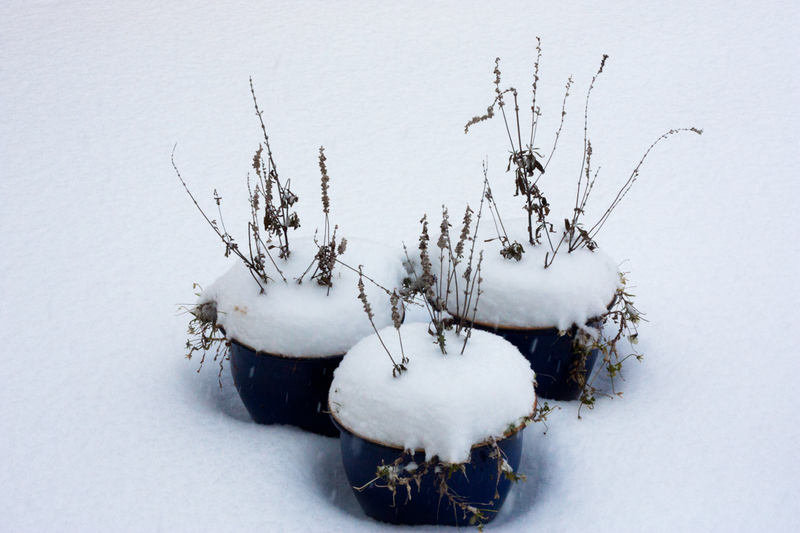 Sprinkle with icing sugar. 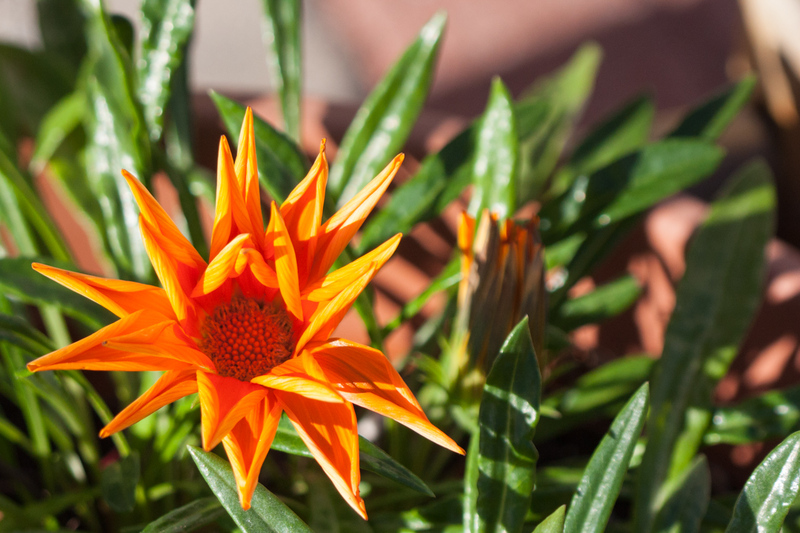 While the cookies were baking I went outside to photograph some flowers in my garden on one of the last sunny warm days of fall.